Christmas Weddings – Our top christmas wedding planning tips! December 2017 has been a super busy month for me as a wedding make-up artist in Liverpool! It is definitely the busiest December regarding weddings that I have ever had. It is obvious that the trend for Winter weddings, and especially those who fall into the Christmastime period, is on the up. 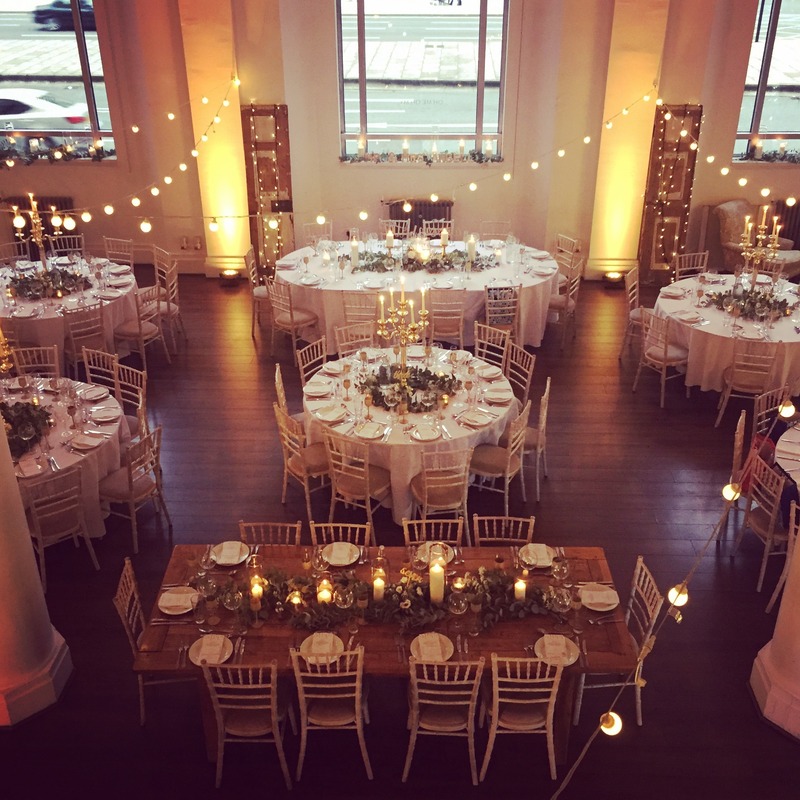 I chatted with a few of our favourite Liverpool Wedding Suppliers to find out more about what makes a Christmas Wedding so special, and what are the down sides you should consider before booking your Winter Wedding date! I spoke with Katie from Oh Me Oh My ( I have a bride who is celebrating her wedding there this weekend!) She suggests that booking with them mid-week, possibly between Christmas and New Year is a great option for couples looking to saved on their overall budget, as they offer discounts for mid-week bookings. They also love Winter Weddings, and create an atmospheric glow by dimming the lights and filling the room with candles so it feels warm and twinkly. It’s definitely their favourite time of the year! Looks cosy and romantic, don’t you think? Booker Flowers and Gifts is one of the few florists that open between Christmas and New Year without charging a premium. Gemma has kindly offered up some expert advice regarding ordering your wedding flowers during this time period. “The biggest problem with flowers in-between Christmas and New Year is the availability. This is because the auctions close for the public holidays, and if Christmas falls on a weekend this can add an extra day or two. This means that it can be hard to get certain flowers or you can only get them in the day of or day before the wedding. This means working to tight time schedules and restricts flower choices to those that do not need to be opened. It also can take a few days for the more unusual varieties to start coming through the auctions again after Christmas, so a good florist will guide you towards stock items which they know will have good availability”. She also suggests that this is a great opportunity to include some non-flower items into your overall scheme, using pine cones, Christmas foliage, baubles and glitter to add a bit of magic to your bouquets and table decor. Cake is important at every wedding, but especially at Christmas time! Emmajane from Let’Em Eat Cake like to incorporate warm, Christmassy flavours into the wedding cakes. “To enhance the Christmas experience, I try to find flavours that will really fit in like warming flavours of ginger, cinnamon, nutmeg, and rich chocolates. This really does make the cake a lot more festive. Also, you can be a bit more creative with colour adding gold leaf and stepping away from traditional white.” Emmajane also points out that some bakers may not work between Christmas and New Year, as they need a holiday after the busy Christmas period! So be sure to book your cake in early! That is also my advice, coming from the standpoint of a make-up artist. Christmas is a busy time of year for everyone, and many wedding professionals are independent businesses. Make your enquiries early so that you find the perfect suppliers that are available for your special day! Regarding your make-up look, I think you can’t beat a truly glamorous Winter bride! You can really play with glitter, shimmer, and red lips at this time of year. Lucy from Lucy Hannah Photography says that when planning your wedding photos, you will need to consider how early the sun goes down at this time of year and plan accordingly. Also, the weather might play havoc with any outdoor shots you might want to have taken. Also remember that your venue may be decked to the halls with Christmas, and will that work with the overall theme of your wedding? Speaking to Carol from Bridal Reloved Liverpool, she points out that some suppliers may offer discounts on their services as it is not “peak” wedding season. She also says, “People might be busy visiting family etc and may not be able to attend. Then again if you want a small guest list maybe that’s a good thing!”. I love this romantic idea from Soph at Recovamp, “You could have a night time/dark/ethereal wedding still early ish like 4/5pm. I would cover everything in fairy lights and candles, and have snuggly blankets and hot chocolate for everyone on arrival to make it special ”. How amazing does that sound? Are you getting married this December? Tell us about your plans and why you chose to go for a Winter Wedding!